The skiing tour begins in the historic city of Kiev and is highlighted by two fantastic socials with the gorgeous women of the Ukraine and countless one on one dates set up by our local Kiev staff. 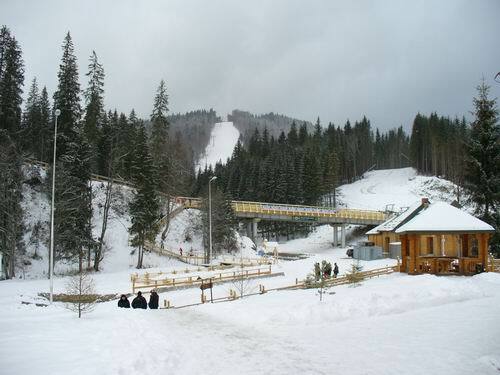 You will then travel to the exciting ski resort of Bukovel centered in the Carpathian Mountains. Bukovel Resort is known for being one of the most elegant ski resorts in Eastern Europe. The tour includes lift tickets, modern ski equipment and many outstanding ski runs for both day and night skiing! Our local guide will help you with all your needs for having a pleasant experience on the slopes. 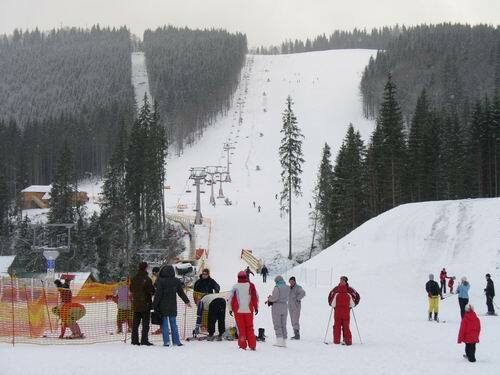 Bukovel ski resort is a new large ski resort in Ivano-Frankivsk oblast 30 km to the west of Yaremcha. It is Ukraine's first European-class resort, with a couple high-speed chair lifts, meticulously groomed slopes and snow-making machines, turnstyles for letting skiers through lines, and ubiquitous security personnel. It's unusual to see this degree of organization in Ukraine. Bukovel resort has been carefully planned to make skiing enjoyable and convenient and to avoid lift lines and congestion. Lift lines longer than five minutes are rare. Bukovel's base elevation is nearly 900 m above sea level, and the highest ski lift rises to 1370 m (see map of Bukovel), making Bukovel the second highest ski resort in the Carpathians. All categories of difficulty are available. There is a very long gradual slope that is perfect for beginners, various short tows for children and "super-beginners," many intermediate runs to choose from, and several black diamonds. Night skiing is available from 5:00 to 8:00 p.m., but currently only on one slope that is upper intermediate. 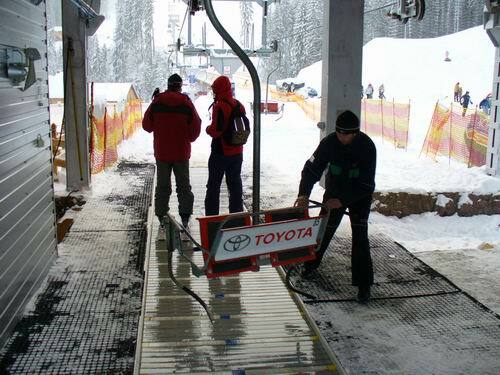 Bukovel is growing rapidly, and new equipment and runs are being added each year. Three days of lift passes, ski (or snowboard) and boot rentals are included in your tour package. If you require an upgrade on skis, Bukovel has many packages that even include the newest and most advanced skis available on the market. If you want to learn to ski or snowboard, their ski school is available to help you with all your needs. In addition, there are snowmobiles available for rent, as well as a paintball course. At the base of the mountain there are storage lockers for boots and other belongings and nice clean bathrooms. Unlike American Ski resorts, lift passes can be shared and used by anyone, so you could theoretically give your pass to someone else while you take a break during the day. 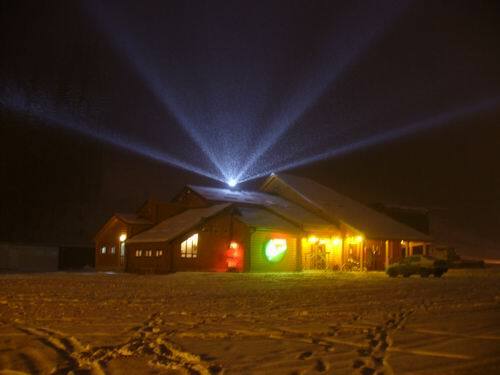 Bukovel has several high quality restaurants - including a pizzeria and an outdoor cafe based halfway up the mountain. The Ukrainian cuisine is known as some of the best food in the world! Meet sincere young beautiful women who believe in family values. Meet more beautiful women in 11 days then you will in five years. Unlimited personals introductions and two large group socials. Our clients date up to 5 ladies per day. Foreign marriages have double the success rate as American marriages.